The reveal will be on Good Morning America! Oh yes, it will be live! I have been told I’ll be on after 8:40 am. 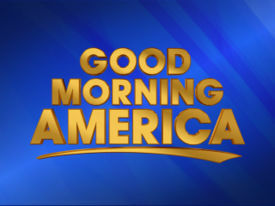 I’m so excited — I love GMA! Then I’ll be on The View! I think school lunch is going to be a hot topic — I cannot wait to chat with them about what I learned. 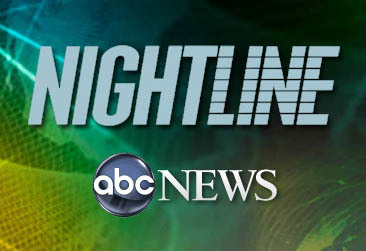 Lastly, I’ll be on Nightline tomorrow night. Juju Chang came to my house and interviewed me. I suspect that my husband and son might even make it into the segment. There is tons more to look forward to in the piece…if you can stay up that late! Can you believe this? I’m sort of in shock. Having never wanted to reveal myself, here I am showing my face in a very public way. But I’m relieved and excited that I’ll finally be out. i’m so excited to see you, and very proud of you, mrs. q! congratulations. Good luck tomorrow, Mrs. Q! You will do great, I’m sure! I just made my husband DVR you all over the place! Yee hahhhhhh! So amazing! I’m happy I got the chance to meet you last year. I will be watching you tomorrow! After 8:40am on GMA in which time zone? EST? CST? I hope these segments will be available online, as I won’t be able to watch them on tv. I hope the reveal goes well, also. It’ll be interesting to see and hear you after having read your writing for, what, close to two years? (Can that possibly be right?) I still have no idea how I came across your blog in the first place, but I’m glad someone linked to it early on, as I’ve enjoyed reading it. Good Luck! That’s so great! Great job on GMA!! I’ve been reading since the beginning, so glad to see the outcome of your hard work all this time. Thanks for advocacy for better food and lunch time for kids, and congrats on your tv appearance, can’t wait to get the book! Good luck… and I am glad you are coming out! Such a relief! Will you posting the clippings up here. I don’t think I am going to be able to catch you live! Good luck, I know that you will do wonderful. Thank you for caring about our kids so much and taking the time to advocate for them! Just watched you on Good Morning America. You are right about the amount of time. My granddaughter is in kindergarten this year and her first comment about lunch was that she didn’t have enough time to eat all her food! I also think we need to know the providers of the food our children are eating and expect our county school nutrientists to improve the ingredients – chemical additives in our foods are making us sick and comtributing to obsity of our children. I read the article about you and your book in the Chicago Tribune this morning. Congratulations on your book! Thank you so much for doing this. Our schools need you. I love your blog! Congratulations on getting the word spread. I just came across your blog today, and I’m so glad to have some options for healthy lunches for my kids. Thanks. So exciting! Got my DVR set for all 3 of the shows. Hope you have a great day…enjoy it all!! Watching it now — you are doing great! Such an important message!! watching you now!! Applauding you and I want to thank you for your effort in exposing whats in our children’s school lunches!! Just goes to show, it just takes a single voice!!! Good for you for speaking out!! Have a wonderful week!!! I just saw you on Good morning America so I decided to view your site.I am not thrilled with our school lunches and my kids would rather eat there homemade lunches that they help to prepare(lots of fresh ingredients). Great job we need people such as yourself in Tx. Thank you again for doing this! I, too, am in the Chicago area and fighting the same mentality as the statement CPS provided. Thank you – I have been fighting this battle for 2 years here in Rye, NH! Our 10 minute or less lunches for our middle school kids is the most ridiculous thing I have ever come across. Our schools are great, the families are supportive – I learned through many phone calls that the State of NH has NO STANDARDS for time allotted for lunch. Your comment that poor lunch choices, over processed food combined with a VERY rushed lunch schedule is hurting this generation – when will it change? I just watched MRS. Q” on Good Morning America this morning. I went to school in late 70’s to 80’s and ate school lunches almost everyday and still alive to tell about it and I am sure food back then was ten times as bad as school lunches the kids eat today in school. As far as it should be there best meal of day,oh…..NO! the best meal of day should be at home not at school. Process food does not always make people fat, I am really thin have been my whole life and I am 42 years old. I saw you on GMA and I want to applaud you on your care and concern for our kids! I worked in Louisiana lunch rooms about 7 years ago. I was appalled at what I observed and how much weight I gained when I started to eat the food I was helping to prepare. You touched on valid concerns, yet there are still many more concerns! I will divulge what I’ve witnessed to you and perhaps my concerns can now be addressed. At our school, the water would come out of our sinks in a black color! Yes black water! Our kitchen manager instructed the lady who made bread rolls to GO AHEAD AND USE THE BLACK WATER TO MAKE THE ROLLS B/C THEY HAD TO SERVE A BREAD! I was HORRIFIED, and made a slight fuss about it, but I had no power to stop it! A lot of the food we would receive was commodity, and there were times this food was trashed just b/c the manager didn’t want to cook it- a blatant waste of money! We would get fresh produce in twice a week, only to have to trash more food b/c produce didn’t last well over the weekends. My biggest concern is the quality of food! It was mostly like what you’d find in every fast food restaurant: frozen, prepackage, or canned items with UNHEALTHY LEVELS OF SODIUM AND FAT! Within the first 4 months of my taking the lunchroom job, I had gained 20 POUNDS! Yes- I gained a lot of weight and after being forced to resign from my job, I lost the weight in a couple of months! The appliances may seem like a petty concern, but let me assure you that cleanliness of the lunchrooms should be another high priority! The dishwashers DO NOT CLEAN THE DISHES COMPLETELY- leaving chemicals and food particles behind to sit and create a bacterial “party” on the surface of the plates and silverware! The cooking instruments are so large they can not be properly washed- again a breeding ground for bacteria! Finally, the staff is key!! I worked with ladies WHO DID NOT BATHE BEFORE GOING TO WORK AND WOULD FAIL TO WASH THEIR HANDS EVERYTIME THEY TOUCHED THE FOOD! Even though we had signs plastered everywhere, the ladies I worked with disregarded the rules b/c “they had each others backs”! Which is how I became unemployed from a job I loved so dearly because of the kids! Parents- please pop in on your Childs school! I’ve witnessed abuse also! Don’t say you weren’t warned! The superintendent of my school district told me “that the employees will lie to keep their jobs” and that’s just what happened! Mrs Q- you handled your situation better than I did mine! I wish I could have thought ahead as you did, then my school district would have been forced to acknowledge and change it’s ways! Maybe after today it will. God bless you! Thank you for giving us parents who have been complaining about this a voice. Another issue on school nutrition is the amount of “treats” our children are given against our choice. In our area, parents can still bring in homemade birthday treats for each child’s birthday celebration! With class sizes getting bigger, this equates to birthday celebrations at least 3x a month sometimes more than 2x a week. In addition to holiday celebration and treat rewards or projects, it seems my kids are always coming home talking about the candy and treats they are getting and there is nothing I can do about it. At least with school lunches, I have a choice and can pack them a lunch. When I approached the school about doing something about this, I was told healthy treats are encouraged but parents would be upset if they didn’t allow this. Really?? Very upsetting and I wish this wasn’t allowed. I saw you Mrs. Q – nice interview. I have been reading for a long time, don’t comment often – but good for you! I have always made our kids lunches [love bento!] but it was almost like watching a wreck to see what you were eating each day. I don’t know how you did it or how the kids have to do it. I hope this changes some things in our school cafeterias. Good luck with the book. Watching GMA this morning and was appalled to see the state of school lunches. There is a way to deliver healthy fresh food for schools and also involve the children with the process. Please contact me on facebook for more info on this creative idea. Thank you so much for all of your effort!! Hi, I would love to have some advice to help with a School Project about bad food. I go to Lakeshore Middle School in North Carolina and my school serves such horrible and fattening foods. I am doing a project to show how bad it is. Could you maybe email me some tips? Thank you so much. It will show my school board to stop selling this very expensive and unhealthy food. Can’t believe you let those nitwits on THE VIEW suggest parents go complain to teachers. You know very well how little input teachers get on school lunch and breakfast program. If you want a job, you keep your mouth shut. Troublemakers are run out. The people to jump on are SCHOOL BOARDS. Love your message, but it needs to be clear who makes those decisions! I COMPLETELY agree with you, CF!!! As an educator I applaud what Sarah Wu is doing, but parents need to organize and complain to district officials, NOT the teachers. Mrs.Q I absolutely love what you are doing! I watched you on GMA and The View this morning! I love when you talked abut the time the kids are given at lunch time. Kids need more time to eat!!! Every time I go to eat lunch with my son, the kids are told NO TALKING cause they got a little loud. I feel that lunch time should be like a break for the kids. They just need a remind to lower their voice to an in side tone. I just saw you for the first time on “The View” and read your blog. I can’t believe you think this is news or some kind of breaking story. School lunches have been full of starch and carbs since the begininning. Where have you been? Under cover? How is that undercover work? YOU WORK IN THE SCHOOL! If you want your child to have a good meal, make it yourself. It’s better than anything the school can make and doesn’t cost much. Besides, if you want the school to serve real food, you will have to pay real dollars. You think $3 is a lot? Try $5 or $6 for a real meal. For the life of me, I can’t understand why you are even on TV. You add nothing of value. What is your solution and where is the money coming to pay for it? Before you jump to conclusions, you should know that she DOES make her son’s lunch EVERY DAY for daycare. I think what you are doing is wonderful. However, I don’t think you were adequately prepared for media interviews. I saw you on the View and you appeared to be overwhelmed. There is a way to get through interviews and make sure you get your message across. Please contact me. Still looking for the link to show our school committee on healthy lunches. Can someone send or print the link from GMA today? I didn’t know about you or your blog until I saw you on The View this morning. I DVR’d it because I am a “lunch lady” at an elementary school in Wisconsin and I had to leave for work. I was disturbed by the photo’s of the food because we don’t serve things that look like they were microwaved. Our lunches are put in the oven on-site and heated to the required temperatures for serving and we have 2 alternate cold lunches available as well as fresh & canned fruits and fresh vegetables.They are not in containers we serve the food on sectioned foam plates. Perhaps the vendor the CPS system uses costs the district less money and that’s why the food is barely passable. I am proud to say that my employers standards meet and in some cases exceed the requirements set up by our state health board. I would say who I work for but I’m not sure if it would be ok with them. Just know there are better vendors out there, but until you and the other parents get involved, nothing will change. I agree with the kids not having enough time to eat though. I think the school day would have to be lengthened if they gave them more time. I remember my school was 8-3:30pm and my granddaughters in now 8:15-3:06 there is room to expand the day. Thanks for reading this. I just saw you for the first time today on GMA and heard all about your blog. I’ve been watching Jamie Oliver for the last couple of years and was wondering how he was going to get schools to change their thoughts about school lunches. I’m really glad that you did what you had to do to help all the children. My kids have always brought their lunches except one day a week but you can count on that they are always fed fresh vegetables from our garden whether it was straight from the garden or frozen for winter. We all need to get back to nature and eat what our great grandmothers use to eat. Thank you Mrs. Q for everything that you did and lets hope this will change all school lunches all over the U.S. for our children’s sake! I’m going to start plugging my school and asking “Why Not Change Our Lunches Too?” at the school board meetings. I’ll try to catch Nightline! I would love to invite you to my kitchen!!! You obviously went undercover at a satellite school. Not ALL school lunches are like this. You need to spend one week in the lunchroom, not just for one lunch but for all the lunches that day. The kids ARE getting enough time to eat, and if not, they are too busy talking or the kitchen workers need to step it up a notch .I’m a kitchen manager at one of our local elementary schools. i had one mother call me because her daughter wasn’t getting enough time to eat. It was very ironic that at that moment I was speaking to her I was looking at her daughter standing at the sticker machine!!!! I LOVE my job! We do not deep fry anything. Everything is cooked right in the oven. We do not have our food sent over in little packages only to be warmed up. The food is not bad. It all depends on which vendors you are getting your food from, how you cook it and how you present it on the plate. Yes, I’ve been at several other schools and have come across many kitchen workers that just don’t care. Myself on the other hand, will not serve it to the kids if it is not something I would eat. These kids also get a fresh fruit everyday whether it be an apple, orange or pear. There is never a day when I have any waste with any of the fruit. I also see MANY students throw away those nice little nutritional lunches mom and/or dads are packing!!! You could feed a small family for a week with all those home lunches that get thrown away. As for the lunch lady who gained the weight…….I’ve been doing this for 6 years and have lost weight due to the 6 hour workout as we call it in our kitchen. Most importantly parents you need to remember….it’s us “lunch ladies” that walk around the lunchroom to make sure every child has a meal, whether it be from the cafeteria or from home. Everyday there is always a few children whose parents forgot to make their lunch and have no money for lunch. It’s us “lunch ladies” who take care of your little ones when this happens. I appreciate your comments, however keep in mind that just like Mrs Q’s experience is not universal, neither is yours. Just because your school provides enough time for lunch doesn’t mean all schools do. Just because you don’t deep fry anything does not mean that other schools follow suit. I also don’t know what you mean by she ‘obviously went undercover at a satellite school’…her school is on the NW side of Chicago and is in fact part of the Chicago Public School system. Nothing satellite about it. My school is also part of the public school system here in Las Vegas. There are MANY satellite kitchens in public school systems. Mine NOT being one of them, however, we do have a few over here. It means the meals are delivered daily in small packages and heated in your kitchen. The cold sides, such as fruits and carrots are also sent over in the small packages and kept in the refrigerator until ready to serve. You are not actually preparing and/or cooking the food yourself. Just one way for school districts to save money. The pics of the food she was showing I wouldn’t even feed to my dog. I’m simply saying before going on national tv “exposing” school lunches do a little more “undercover” work at other schools and in other areas as well. You would be surprised to see some of the school lunches are not that bad. Am I missing something here. I just viewed her pics again and IT DOES appear that kitchen is what we call a satellite kitchen. Everything, and I mean everything sent over in the small packages only to be heated before being served. Again, I will say, before going on national tv she needs to do a little more “undercover” at other schools. “Mrs. Q”, I just viewed the video online of your television interview and want to say STRONG WORK! With all the hype these days about childhood obesity and the infamous issue with adult obesity in our country, our GOVERNMENT needs to go farther than trying to influence parents to provide healthy food to our children and make a change in the school systems!!!!!! There are many universities across the country that are training and providing nutrition degrees to chefs and other professionals that need jobs so why doesn’t Mrs. Obama try to form a law that will require every school to have a “NUTRITION EXPERT” like that in every school? Someone who knows how to procure ingredients for preparing FRESH meals for our children leading up every cafeteria program across the country would be limitless in their efforts to have an impact on this serious health problem. I’m sure you are aware already that the cafeteria employees do not make much, and that’s understandable with the economy; however, considering the catastrophic amount of money the government spends (let alone we, as consumers) on treating or managing chronic health issues that result from childhood and adulthood obesity, mandating some funds to be appropriated for a nutrition professional to govern our school lunches could drastically reduce those figures! As you said in your interview, if the children only have healthy choices to eat at school, their hunger will prompt them to choose something that would be more nutritional than what is being provided…and those habits could even transfer to the parents that need influenced at home. I really believe a educated nutritionalist in every school could make a difference and would rather see our First Lady approach that issue instead of the route she is taking…. You have to see the amazing food schools in Santa Barbara County are cranking out thanks to the sCool Food Initiative. I wish we had it in our school… I watch children fill the trash and leave lunch with empty tummies.. I have no idea wht ‘ripp’in dipp’in chicken’ is… but there’s a reason you need to cover it with lots of ‘dipp’in’ sauce… terrible! The food is processed and heated in plastic… this is how we feed the future? How exciting! You should post some links to the videos online (or point me to where they are, I assumed I’d find them here on the Media page, but no such luck!). I easily found the GMA and The View clips pretty easily, but can’t find the Nightline one.